The Association of American Physicians and Surgeons (AAPS) is a relatively small but notoriously loud group of “conservative” cranks and batshit crazy fundies who wail against, in particular, abortion, vaccination, the idea of universal health care coverage, and the fact that evidence- and science-based medicine as placing unacceptable limits on physician autonomy (it is obviously listed by Quackwatch). 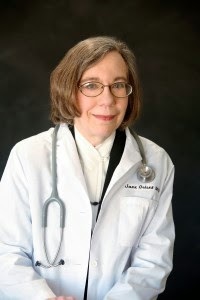 Jane Orient is the executive director. The physical address of the organization in Tucson (a suite in a medical center) is also the address for the equally insane Doctors for Disaster Preparedness, the American Health Legal Foundation, the AAPS Educational Foundation, Physicians for Civil Defense, the Southwestern Institute of Science, and the Southern Arizona Association for Play Therapy. Jane Orient is also listed as contact for the majority of these other organizations. Common to all is that they defend all the extreme religious right positions (usually denial) related to any topic in science and medicine, and various forms of woo and anti-vaccine propaganda. In short, Jane Orient may hence be one of the most comprehensive crackpots in our Encyclopedia thus far. You can read about her arguments against vaccines, citing the Geiers, here. Her claims have been cited by various anti-vaccine organizations, who wouldn’t recognize a crank if they ate one. The AAPS also has its house journal, the Journal of American Physicians and Surgeons (JPANDS). The journal is not considered a valid, peer-reviewed journal for inclusion in major scientific databases, for obvious reasons, and has been listed by Quackwatch as “Fundamentally Flawed” (There is a meticulous analysis of the journal here). JPANDS has for instance published (this is a short list) a rather famous and extensively debunked article on the supposed link between breast cancer and abortion, and between oral contraceptives and cancer (the AAPS has filed a lawsuit against FDA to overturn approval of ‘Plan B; morning after pill’ for over the counter use by women over 18 – the “study” linking them to cancer appeared after that lawsuit was unsuccessful), various defenses of Lupron therapy by the Geiers, articles defending HIV denialism (a mainstay with the AAPS), articles denouncing randomized controlled trials in favor of single case studies (by Donald & Clifford Miller), articles defending hyperbaric oxygen therapy to treat multiple sclerosis, articles (infomercials, really) pushing nutritional treatments for ADHD and herpes; an article (from late 2008) claiming that Barack Obama uses neuro-linguistic programming to exercise mind control over people at his rallies, and articles used to justify the importance and significance of the Oregon petition as evidence against global warming. There is an obvious reason for publishing that last one. Orient is a faculty member at Oregon Institute for Science and Medicine, a denialist think tank run by Arthur Robinson, and – of course – the institution behind said petition. And yes, Orient is, of course, also a vehement global warming denialist. To make sure she has maxed out her commitment to denialism and hatred of science, Orient is also a creationist and signatory to the sadly silly Discovery Institute initiated petition A Scientific Dissent from Darwinism. But the thing is: the organization is actually influential and has a significant say in policy decisions. Members include Ron & Rand Paul, Paul Broun and former Louisiana congressman John Cooksey, as well as Joe Mercola and Russell Blaylock, which is an impressive and rather frightening lineup. Diagnosis: A brilliant example of crank magnetism, Orient seems determined to reject absolutely anything that has to do with reason, truth or evidence. She is pretty active and pretty zealous about it, and her various organizations have done quite a bit of damage to civilization already. Congrats on reaching 1000 posts! Sadly, I fear there are thousands more dangerous and influential loons out there who would be suitable for inclusion. Wow, a thousand loons I've learned about. Thanks for all the hard work researching them without going mass.